We leave Interlaken in the morning. First we reach Iseltwald. 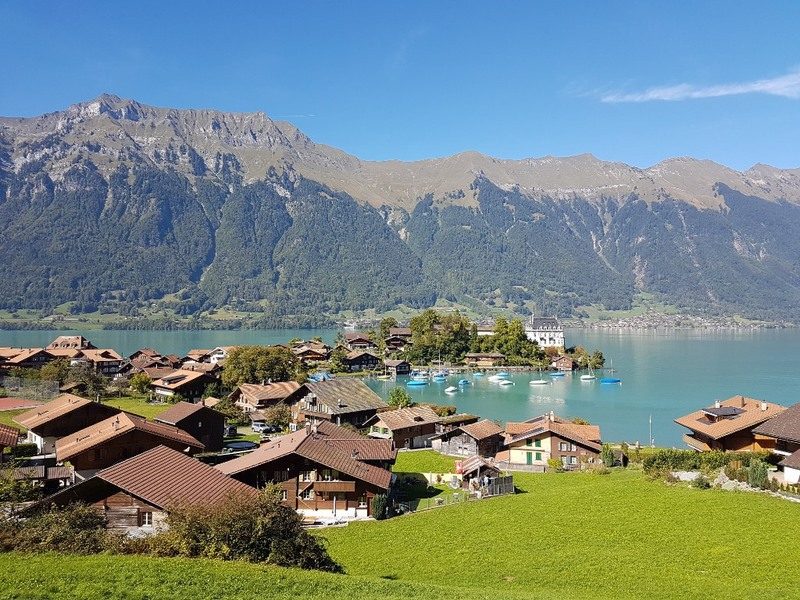 A traditional small village where the world seems to stand still at the picturesque lake of Brienz. We stroll around and take pictures of the great view and enjoy Switzerland off the beaten path. Our second stop are the the famous Giessbach waterfalls above the lake of Brienz, where you’ll get impressed by the 14 waterfalls. 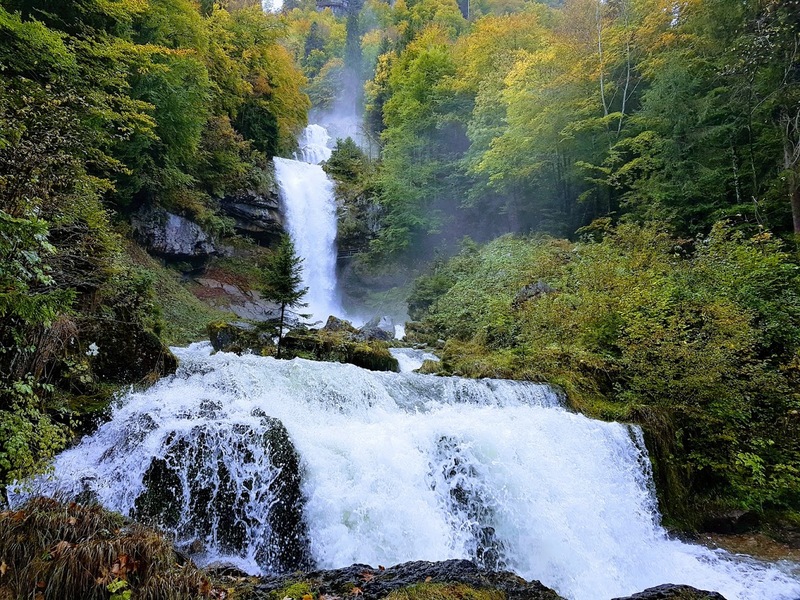 Go for a walk “under the waterfall”, visit the “magical place museum” or simply relax at the terrace of the Swiss historic Grand-hotel Giessbach and enjoy the great view over the waterfalls and the turquoise green-blue lake of Brienz. 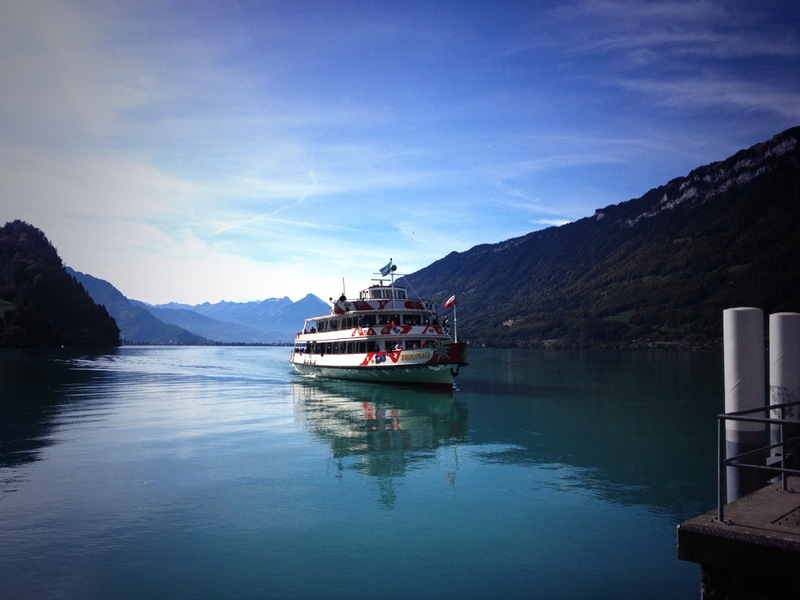 From the Grandhotel you have the option to ride with Europe’s oldest funicular down to the lake from where you’ll take a boat to cross the lake to Brienz, where we’ll pick you up if you prefer a boat ride instead of the car transfer. 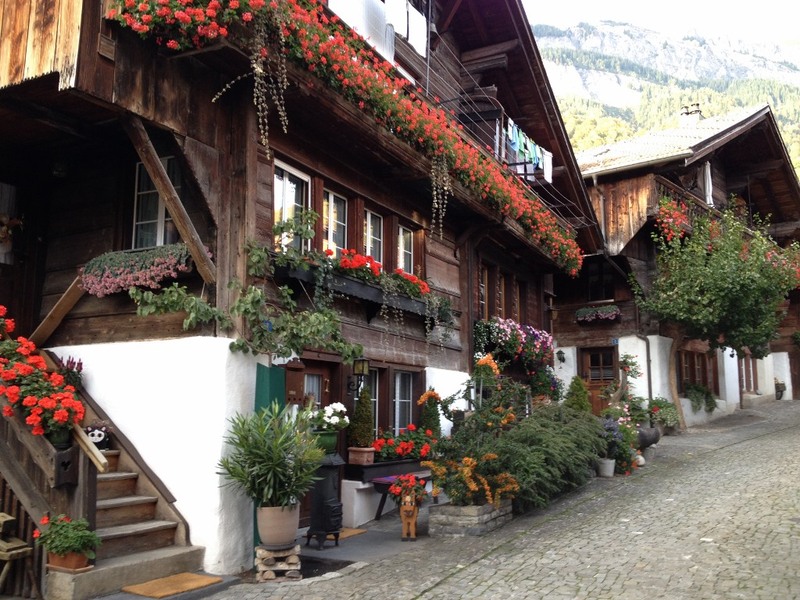 Brienz is a charming cute village and invites you to stay. After lunch, we’ll discover the traditional chalet houses, stroll around the wonderful lake promenade and fter all you’ll get some typical cow souvenirs from the local wood manufacturer. In the afternoon, after a short drive, we’ll reach Meiringen and the Aare Gorge. This hidden treasures. 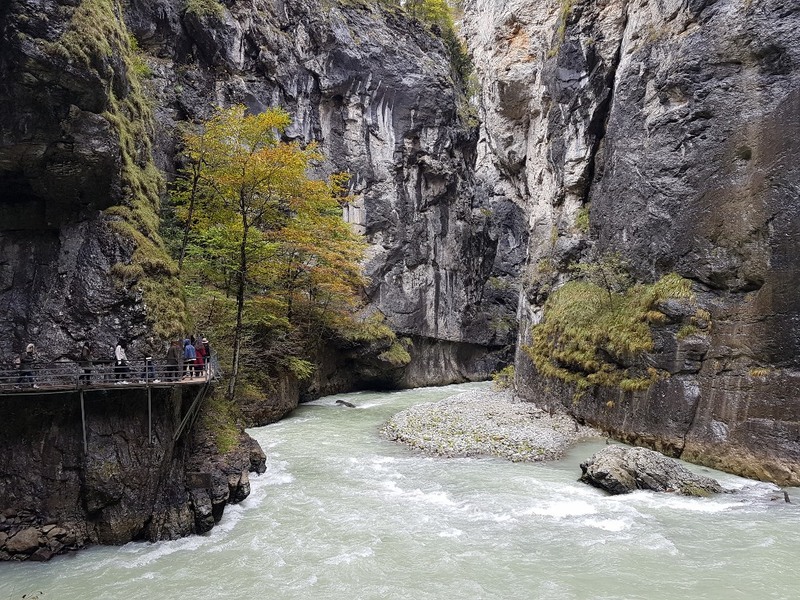 The Aare Gorge presents you the power of water and nature welcomes you to a different world: this amazing Gorge can be visited by just stepping a few meters into the gorge or hiking 45 minutes through and get out in the next valley. From November – March the Aare Gorge is closed and you’ll visit instead the picturesque Lauterbrunnen valley. Our last stop is the lake of Thoune. At the Neuhaus, harbour of Interlaken. Enjoy the last beautiful view point and relaxing place before returning back to the buzzling tourist town Interlaken. 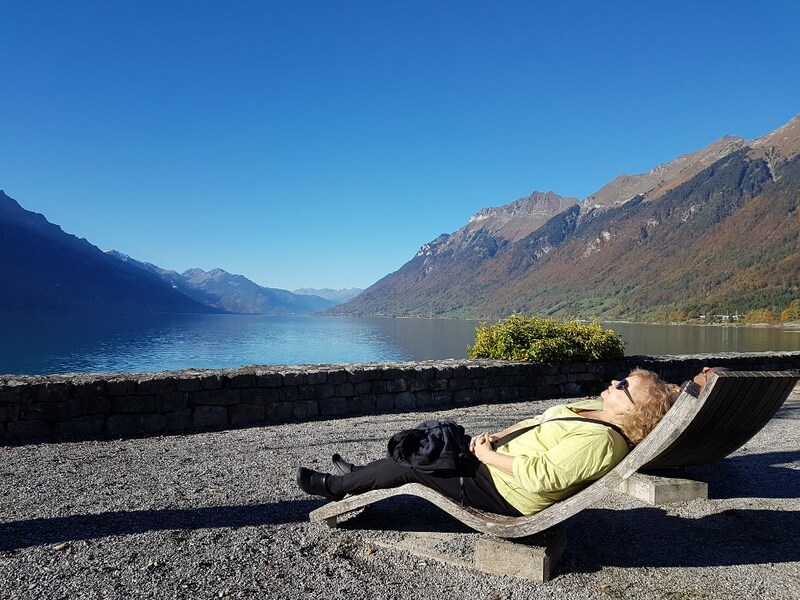 The tour is guided by your local personal Swiss guide Sibylle or her partner who are happy to include your wishes in the itinerary to create you a custom tailored, unique, unforgettable Swiss experience. I had an excellent tour with my 3 generation family around Switzerland recently, 27 Nov – 8 Dec 2017. Sibi was very attentive to the needs of my family and she was very passionate towards ensuring the trip is comfortable especially for my parents who have mobility difficulties. She had made the trip extremely fun for the children and they miss her after the trip. We are specialised in private day tours and tailor-made roundtrips with your personal local multilingual Swiss driver and guide.